Tonight’s guest blog post, on the topic of point of view is brought to you by journalist, short story author and mystery novelist Rosemary McCracken. Before you keyboard your opening sentence, you will need to decide on what point of view your novel will take. I didn’t do this when I began Safe Harbor. I plunged into the story, writing it down from the POV of a third-person narrator. For some vague reason, I felt that the use of a first person narrator was way too prevalent in mystery novels, especially those by North American writers. The late Robert B. Parker used it in his Spenser series. Janet Evanovich, Sue Grafton and Sara Paretsky use it. I must say that I like the works of Parker, Evanovich, Grafton and Paretsky, but I was determined to be different. I completed the first drafts of Safe Harbor in third person, and early in 2009 I entered the manuscript in Britain’s Crime Writers’ Association’s Debut Dagger competition, a contest open to English-language writers around the world who haven’t had a novel published. The CWA never got back to me, which meant, in a competition that attracts hundreds of entries, that I hadn’t made its shortlist. I felt like the carpet had been pulled out from under my feet. Safe Harbor is a murder mystery, but it’s also the story of Pat’s personal journey of coming to terms with her husband’s infidelity and getting on with her life. The story’s major events – Jude’s murder and the danger Tommy is in – affect Pat deeply because of her personal involvement in them. Jude was Michael’s mistress. Tommy is Michael’s son and a living reminder of his affair. I needed to get deeper into Pat’s head. And the best way to do that was to let her tell the story. I rewrote the book in the first person. I knew Pat intimately, so I felt completely comfortable jumping into her shoes. And right from the start, I knew I’d made right choice. I felt an energy emanating from the story that hadn’t been there before. I showed several chapters to members of my writers’ group, and they agreed. Safe Harbor had been written in the limited third person, a form of narration that lets the reader see events from the POV of a single character or of a few characters at the most. The focal characters in the original drafts were Pat and, to a lesser extent, Farah Alwan, her young housekeeper. Now with Pat as the book’s narrator, Farah’s role is much diminished. It’s limited to what Pat can tell us about her. Early the next year, I entered the rewrite in the 2010 Debut Dagger competition. 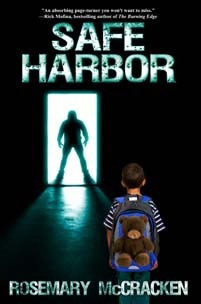 Same title (at that time it was Safe Harbour, with the Canadian and British spelling of Harbour; it was changed to the American spelling when the novel was released by Imajin Books), same story line as my previous submission, but this time told in the first person. That year Safe Harbor emerged as one of 11 novels – out of about 1,100 submissions from around the world – that were shortlisted for the award. I was astonished…and overjoyed. Being on that shortlist has been one of the highlights of my life. I believe the intimacy created by the first-person narrator made all the difference in attracting the judges’ attention. I’ve learned that every standalone novel and every series demands a certain point of view, depending how far the writer needs to get inside certain characters’ heads. If you’re uncertain which to use at the outset, I suggest you write versions of your opening chapters from different points of view and settle on the one that is most comfortable for you as a writer and the most effective for your story. Thank you, Rosemary, and congratulations! 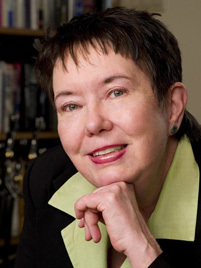 Born and raised in Montreal, Rosemary McCracken has worked on newspapers across Canada as a reporter, arts writer and reviewer, and editor. She is now a Toronto-based freelance journalist, specializing in personal finance and the financial services industry. Rosemary’s short fiction has been published by Room of One’s Own Press and Kaleidoscope Books. Her first mystery novel, Safe Harbor, was shortlisted for Britain’s Crime Writers’ Association’s Debut Dagger Award in 2010. It was released by Imajin Books this spring, and is available as an ebook and a paperback on Amazon.com and Amazon.co.uk. Visit Rosemary on her website and her blog. Safe Harbor opens when a frightened woman barges into financial planner Pat Tierney’s office with a shocking request: “Look after my boy; he’s your late husband’s son.” The next day the woman is murdered and police say the seven-year-old may be the killer’s next target. In a desperate race to protect Tommy, Pat’s searches for the truth and uncovers a deadly scheme involving illegal immigrants, trafficking in human body parts and money laundering. The blog interviews return as normal tomorrow morning with non-fiction author Marlene Caroselli – the four hundred and seventy-sixth of my blog interviews with novelists, poets, short story authors, bloggers, autobiographers and more. A list of interviewees (blogged and scheduled) can be found here. If you like what you read, please do go and investigate further. And I enjoy hearing from readers of my blog; do either leave a comment on the relevant interview (the interviewees love to hear from you too!) and / or email me. Choosing point of view can be sticky. As a novice, I wrote the first volume of my Fantasy trilogy in multiple third person. It worked well, but I knew that I wanted something more intimate for Book Two so I chose first person. Much trickier, as there is so much you cannot tell your reader directly. But the result was a better book. Now, for the final volume I have chosen first person again, but I alternate between two characters, as they have equal importance. That is an even bigger challenge but I think the result will be worth it. The bottom line is that you need to know why you choose the point of view and what you want to it to do for the book. In the main, yes, and it’s where my heart lies but I did enjoy writing them (three of them for NaNoWriMos) and I know it’s what most readers love.